"Death of Lincoln. Great Tragedy in Washington." Dispatches originally published in the Atlanta Intelligencer on April 21 (shown here reprinted in the Alabama Beacon on May 12). These reports from Secretary of War Stanton, all dated April 15, give details and updates about the events surrounding President Lincoln's assassination. The following statement appears after the official accounts: "The investigation into the late conspiracy, shows that Mr. Lincoln's death had been attempted by poison." Excerpt from the Alabama Beacon, book number 33.0010. Catalog record for this title is available here. Use of this item for research, teaching and private study is permitted with proper citation and attribution, as defined here. Reproduction of this item for publication, broadcast or commercial use requires written permission. 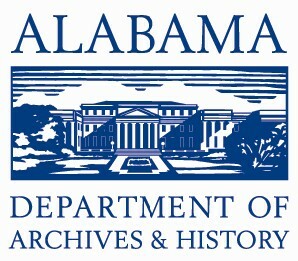 For permission, please contact the Alabama Department of Archives and History.